Croatia’s islands host many events and festivals all year round, ranging from classical music events, traditional folk performances, art exhibitions, sports, pop concerts, educational workshops and events promoting the natural beauty of these islands. There’s bound to be something amongst the events on the Croatian islands that you will enjoy during your stay! Some of these events can be quite small and locally organised, so it’s usually best to check with the tourist office in town or resort you’re staying in for a full list. Below are details of some of the best events taking place as well. Co-founded by famous Croatian actor Rade Serbedzija, Kazaliste Ulysses (Ulysses Theatre) on Veliki Brijuni island runs each summer with some wonderful plays – past seasons have seen Hamlet and King Lear. The Theatre opens and holds performances from mid-July to mid-August each year. The Osor Musical Evenings in Osor on Cres in July are a series of classical concerts performed by Croatian and international artists, and are held in the Church of the Assumption of the Virgin Mary. Cres is also home to the Crescendo Musical Festival (end of August). Events on Losinj will include the Losinj Cuisine Festival in April, and the Day of Dolphins cultural festival on the 1st August. For the more active amongst you, there’s also the Downhill Losinj mountainbiking race in May. Mali Losinj also hosts the Losinj Jazz Festival – in its 15th year – at the end of July. There will be performances from both Croatian and foreign jazz artists in some great open air locations. 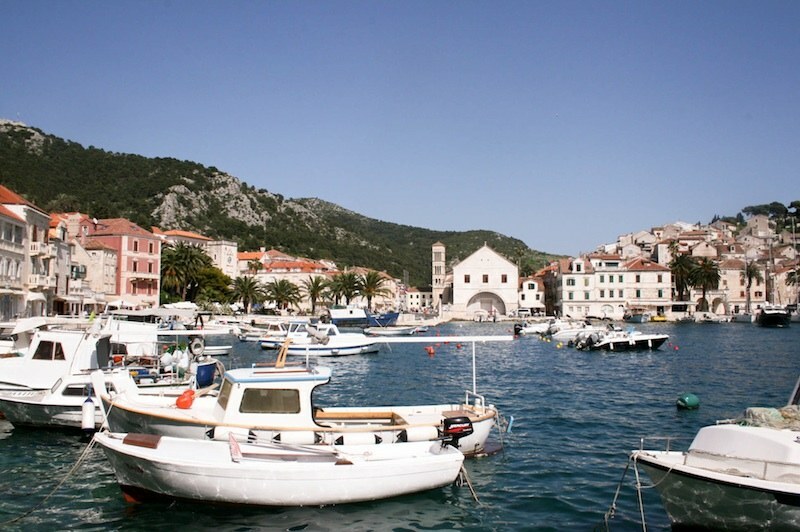 On the island of Krk, events include numerous culinary celebrations such as the Eco, ethno winefest in May; the Baska Guitar Fest in August; and the popular carnival that takes place every January & February, culminating in a large parade in the middle of the second month of the year. Crna Ovca (“black sheep”) in Baska is a three-day sport (sailing) and entertainment festival in May that also celebrates Baska lamb. The medieval-themed Krk Fair (first held in 1524!) takes place over three days at the beginning of August; it includes music and other fun and games. The Baska Outdoor Festival in mid-October offers the opportunity for a few of energetic fun – hiking, cycling or running on over 90km of routes. Rab‘s calendar of events includes “Rab Musical Evenings” every July, and the famous Rabska Fjera, a medieval-style summer festival that also takes place in July. Pag‘s events include the International Festival of Lace (an item for which the island is very well known) in June, and the Pag Art Festival in August. However, Pag is known as being something of a party island! Party central is the town of Novalja; its Zrce Beach features Club Papaya and Club Aquarius, which host top DJ names (names that have appeared in the past include Fatboy Slim, Sven Vath, Benny Benassi), mini dance festivals and – now in its eighth year – the incredibly popular Hideout Festival (1st – 5th 2019). The same location will also play host to hip hop extravaganza Fresh Island (15th – 17th July 2019), Loveweek Festival (21st – 27th July 2019) and Sonus Festival (18th – 22nd August 2019), some of the many Festivals in Croatia. The Triathlon Long Island takes place mid September on this gorgeous island blessed with nature. Murter‘s list of events includes a selection of concerts and parties! Hvar will undoubtedly have a wonderful line-up for 2018, including the Otillo Swimrun Weekend (6-7 April 2019); Hvar Theatre Days in May; the Festival of St Prosper (its patron saint) in Hvar Town on 10th May, which will see a number of events including a gastronomic feast; the Hvar Summer Festival from June to October; the ninth Lavender Festival in late June/early July; Fisherman’s Night in Milna in August; and the FARO(pi)S international literary festival in the middle of August. Carpe Diem on Hvar will also host a number of lively club nights and international DJs this summer. The island of Brac will see the 4th WTA Tour Bol Open (June); Bol Summer Festival (June to October); the visually stunning street art/grafitti event Graffiti na Gradele (August); the Brac Film Festival (August) and the International Summer Carnival (September, in various locations). Vis‘s events include the Vis Summer Festival, held each July and August, with numerous traditional and more modern dance and music events. There’s also the wonderful Goulash Disko festival in Komiza in mid September. Fort George, just above Vis Town, also hosts an exciting line-up of events each summer. Korcula‘s events include a celebration of the times of Marco Polo (who was born on Korcula) at the end of May, when the streets of Korcula Town are decorated to look like a 13th century town, and the Korkya Baroque Festival in September. Mljet holds a klapa concert during May, with various klapa groups from around Dalmatia performing (Klapa is a traditional Dalmatian form of group acapella singing). The Mljet Summer Festival is held each August. The Sipan Summer Film School is a small international film event that takes place in Sipanska Luka on the island of Sipan every August.